Receive your official PSCC Rserving Responsible Serving® of Alcohol Wallet Card for AR Responsible Serving® of Alcohol in the mail! After you complete the course, you are able to generate your printable certificate for AR Responsible Serving® of Alcohol immediately. You will automatically receive your PSCC Rserving bartender's license / wallet card for AR in the mail within 15 days. There is no additional cost to receive your bartender license / wallet card! This course is approved or recommended for nearly all states; for specific state information, click here. Enroll today and get your Responsible Serving® of Alcohol certification! Click the add to cart button below and proceed to the checkout to get signed up. You will be emailed a username/password to login and begin. In Arkansas, you can take our online training to obtain your state specific Responsible Serving of Alcohol certification. 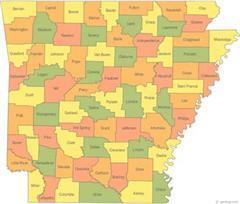 What is the minimum age to sell/serve alcohol in Arkansas? The agency that handles Arkansas liquor licensing and/or bartender licensing rules and regulations in Arkansas is The Arkansas Alcohol Beverage Control Division. The contact information for The Arkansas Alcohol Beverage Control Division is listed below. 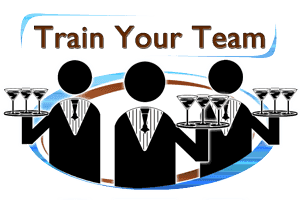 You can contact them to verify that online server certification (bartender license) can be obtained in Arkansas. We have also listed that information where applicable. AR Happy Hour Laws: Arkansas has not passed any particular Happy Hour Laws, but Arkansas does have restrictions on advertising alcoholic beverages. You may NOT: Advertise discount sales, monetary refunds, or cash rebates. Advertise refunds or other inducements. Advertise any controlled beverages a being free. Yes. You cannot be a convicted felon and hold a permit or stock in a permit. You can serve alcohol and be a felon as long as the conviction was not of a violent nature.